You will earn 5,886 Reward Points. Earn 1 reward point for every 1 dollar spent. 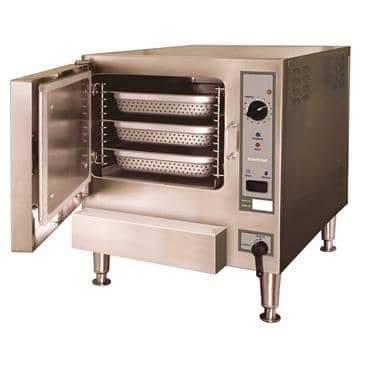 Cooking capacity for up to three 12" x 20" x 2.5" deep steam table pans (1/1 G/N, 65 mm). Love this brand. Never have any problems. Always satisfied customers. Thanks again!